Running in Rotterdam and The Hague. 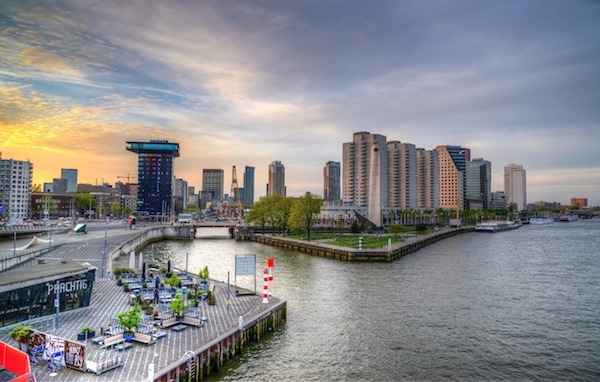 Best places to run in Rotterdam and The Hague. The combined metro area of Rotterdam and The Hague has a population of 2.7 million and has the 13th largest population in the EU. Rotterdam is Europe’s largest port, while neighboring The Hague is the seat of government in the Netherlands. Water defines the area’s geography, given its location at the mouth of the Nieuwe Maas channel leading into the Rhine–Meuse–Scheldt delta at the North Sea. 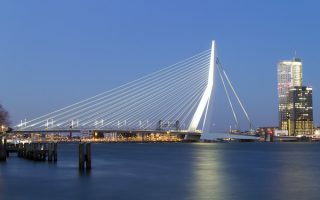 Rotterdam is divided into a northern and a southern part by the River Maas, which is connected by numerous tunnels and bridges. The Hague has a dramatic settting on the North Sea. 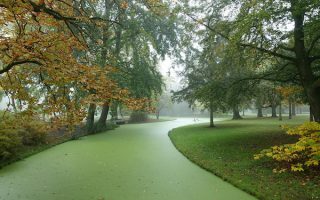 Running in Rotterdam and The Hague is largely defined by the water, although there are also some wonderful parks and accessible wooded areas. In Rotterdam, the best places to run are along the various River Maas paths, using the scenic bridges as connectors. There are also some wonderful parks and trails north of the city, including the lovely Kralingse Lake. 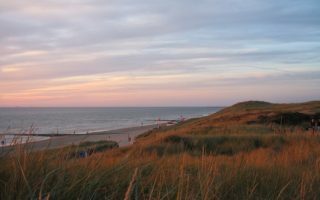 In the Hague, there’s some great beach and boardwalk running in and Scheveningen and Kijkduin, the spectacular Westduinpark, and the wide, wooded paths of the Hague Woods and Scheveningen Woods. We’ve also included a ‘runseeing‘ tour of The Hague’s historic highlights. 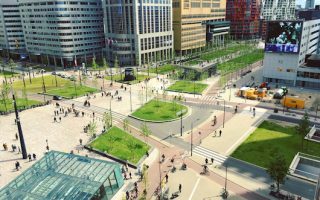 Rotterdam and The Hague are both compact and easy to get around via a system of metros, trams, and light rail. Paths along the Nieuwe Maas (river) are the signature running option in Rotterdam. It's not a straight river loop due to the complex geography. We've mapped out loops of 5 km, 10 km, and 21 km, with lots of options to vary. A pleasant run near central Rotterdam incorporating several km of waterside running, with an opportunity to also enjoy the beautifully landscaped Het Park. Nearly 7 km of paths in and out of inlets from Erasmus Br. to Delfshaven. Het Park has 3-4 km of paths. There's great running in central Rotterdam. This 'overview' and map provides a guide to some of the best spots: Historic center, Maas River paths, Het Park, Heemraadspark linear park, canal paths, Kralingse Lake. 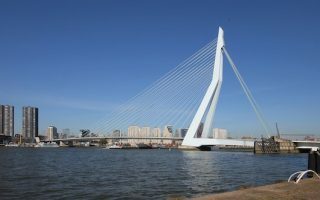 A well-known 15 km loop incorporating five bridges and lots of waterside running, and provides a good overview of Rotterdam's unique geography and some main sights. This follows the course of a popular road race that occurs in early December. A series of trails in northern Rotterdam, forming a linear park. It's ~8 km from the Tram Museum, north through Prinsenmolenpark, Molenpark, Lage Bergse Bos Park, and Hoge Bergse Bos. Sections along water, in woods, through fields. Pleasant 5 km loop around the perimeter of this lake. Only 3 km east of the center and easily reachable via transport. Dedicated paths and water views much of the way. Additional paths through woods on northern side of lake. A 10k 'runseeing' tour of The Hague's central sections. 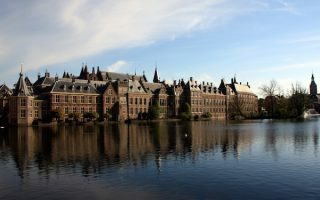 Features 'Museum Row', the waterside Dutch Parliament and other government buildings, embassies, Koekamp and Malieveld parks, and fun pedestrian zones. Two wonderful wooded parks for running, easily accessible. Each features long, wide alée-like paths. 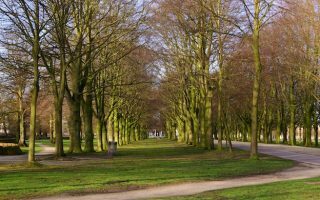 Scheveningen Woods can be combined with Westduinpark for a longer run. Hague Forest is the oldest forest in the Netherlands. Extensive network of trails through dunes and woods, ~4.5 km from end-to-end. 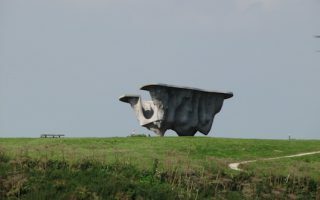 Located in Kijkduin. Good add-ons are along the beach, or across to port of Scheveningen and its boardwalk and beach running. 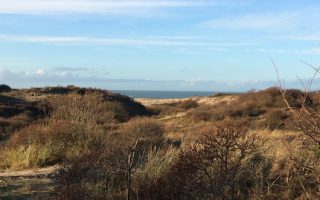 Many km of wonderful beach, boardwalk, and coastal park running in The Hague, divided into two areas: Kijkduin and Scheveningen. The beach is wide and quite runnable. 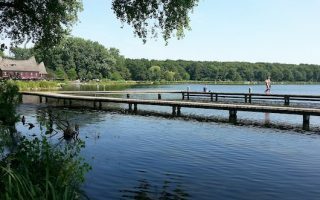 Paved options include the 3 km boardwalk, and paths in Westduinpark & Oostduinpark. Rottedam and The Hague have a mild climate, moderated somewhat by the proximity of the water. It is a humid and damp climate. Summers are mild, but not overly warm or hot. Average high temperatures are in the 22C range (72F), while evenings are cool, dipping to 13C (54F) on average. Layer needed at all tikes of year! Winters are overcast and cool but not too cold. Daytime highs climn to 6C (43F), and lows dip to around the freezing point. Spring can be awhile coming due to the colder ocean waters. Precipitation is evenly spread throughout the year. Significant, lasting snowfall is rare. It can also be quite windy, especially close to the coast. Note also the longer summer days and shorter winter days attributed to the northern latitude! And summers average 4x the mean sunshine hours of winter! Run2day is an independent running store with locations in Rotterdam and The Hague (and elsewhere in the Netherlands). De Hardloopwinkel also operates stores in Rotterdam and The Hague (and elsewhere in the Netherlands). Hague Road Runners. From their site: Every Monday, Wednesday and Thursday evening running groups at all levels of experience leave the clubhouse at 18:45 hrs. Training on a Saturday and Sunday starts at 9:00am. Everybody is welcome, from the age of 16 upwards – please drop by and join a few trial runs. Membership is on an annual basis, but if your stay in The Hague area is for a shorter period of time, a temporary membership is also possible. Race event calendar, from the Hague Road Runners website. Rotterdam Marathon. April. One of the fastest marathons in the world. CPC Run The Hague. March. City to Pier run. Very popular! Hague Half Marathon. March. 26,000 participants!